Access to Sign Language Interpreting Video Relay Service for Deafblind Sign Language Users. ContactSCOTLAND-BSL, Scotland’s only nationally funded online British Sign Language/English interpreting video relay service (VRS), delivered by Sign Language Interactions on behalf of the Scottish Government, is proud to announce the service can now be accessed by deafblind BSL users. Deaf BSL users have been using contactSCOTLAND-BSL to contact any of the 140+ public bodies or any of the 1,000’s of Scotland’s third sector organisations by calling through a mobile device such as a smartphone or tablet or desktop computer, signing via the camera to the online BSL/English interpreter, who in turn calls (phones) the public body or third sector organisation and relays the call between the two. Deafblind people have been unable to access this ground-breaking and at times life changing service due to the simple fact that they cannot see the interpreter on screen! Now with advances in technology and specifically software, deafblind BSL users whose first language is BSL, can now access the video relay service by signing to the online interpreter using BSL and rather than seeing the signed response, they receive the responses via a braille display attached to the computer with responses being typed by the online interpreter. This is a first for Scotland and a first in the UK. “Advances in video technology has meant that deafblind people have been excluded from accessing services that many people take for granted. 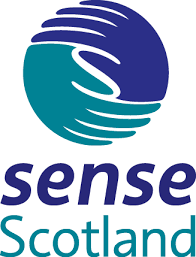 Now deafblind BSL users can have access to all of Scotland’s public bodies and third sector organisations and able to make phone calls where previously had to rely on others to make. This can be from the mundane such as ordering food for their guide dog (albeit pretty important to the dog!) to contacting council services or making appointments at their GP surgery whenever they need to. The key is being able to express themselves in their language of choice – BSL.